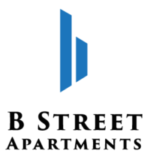 Our apartment proudly features: an on-site manager, laundry services, rooftop lounge, pet-friendly environment, brick-facade interiors, open patios, bike storage, and a few we invite you to see for yourself! CSUEB Campus is 1.9 miles away, or a 6-minute drive. Shuttle service to/from CSUEB on corner of building. Hayward Bart is an 8-minute walk away. Location is footsteps away restaurants, bars, movie theatre, pool hall, arcade, CVS, and many more. Starbucks, Peet's Coffee, Panda Express, Lucky's Supermarket, Jamba Juice and more are a short 4-minute walk away.